Leeds' Menace Beach unveil "Lowtalkin'", the other side of their upcoming double a-side. In comparison to "Tennis Court", the other track from the double a-side, "Lowtalkin'" is far more frantic and impatient in its manner, style and delivery - you could even say in every way. Where "Tennis Court" contains the catchy lyrics and poses a far more "ear wormy" output, "Lowtalkin'" is pure unadulterated noise of the highest quality. 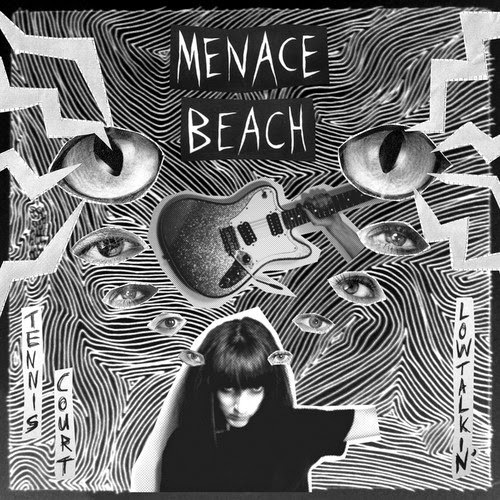 On a side note, Lan Mcardle of Joanna Gruesome lends her vocals to both tracks - see if you can pick her out. You can now pre-order a copy of "Lowtalkin'"/"Tennis Court" which is set for release through Memphis Industries on August 1st.